Last week kicked off Tone It Up’s Frisky Fall Challenge! Harper had what we thought was a cold, until the wheezing happened. A respiratory virus. Poor thing was out of it and still tried to be her cheerful, bouncy self. Except for when it was time for her breathing treatments. Yikes! That tiny girl can put up a fight. I was able to take some shoddy “before” pictures for the challenge while Mike distracted her for a few minutes. It’s amazing how soon in life we depend on mama to help us feel better! 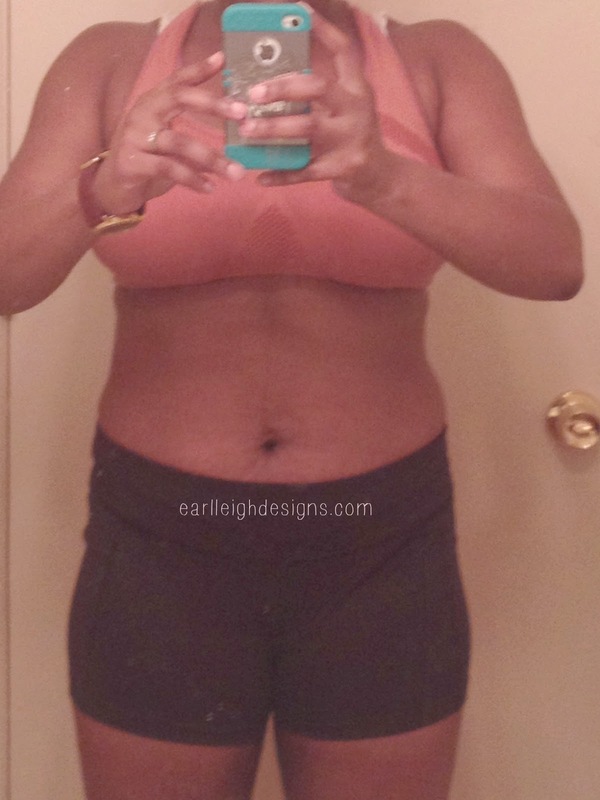 I took a quick snapshot of my midsection the next morning to show y’all what I’m working with. Ha! Seriously, I wanted to show that I have all of the glorious marks of motherhood. Some women get the stripes and loose skin, some don’t. You can see that I fall into the last category. They don’t phase me…anymore. I won’t lie and say that I always wore them with pride. I didn’t. I hated them. Loved my daughter and had no regrets about having her. I was just not a fan of the way things shifted after having her. It wasn’t until I started lifting and regaining confidence in myself as a woman (not just a mom), that I noticed the stripes less. The loose skin started tightening up and now I only notice it when I’m leaning forward. Train my midsection- I hate, hate, hate doing ab work. Drink less alcohol- I’m not throwing them back every night but I discovered Moscow Mules. Heaven HELP ME that drink is too good. It’s refreshing, easy and inexpensive to make. Let’s not forgot to mention the seasonal drinks that I want to try like this Pumpkin Spice Margarita. Just pour it down my throat please and thank you. Have you ever had a Moscow Mule? What’s your favorite cocktail/mocktail of the moment? This post was fueled by H2O, shrimp with mixed veggies and Explosions In The Sky. What is a Moscow Mule?!!? Good luck on your challenge mama! I have heard about Moscow Mules, but am yet to try one. They sound delicious! It is fall, which means I am into Blue Moon Pumpkin Ale right now and everything PUMPKIN! I love weight loss posts. They are so motivating. 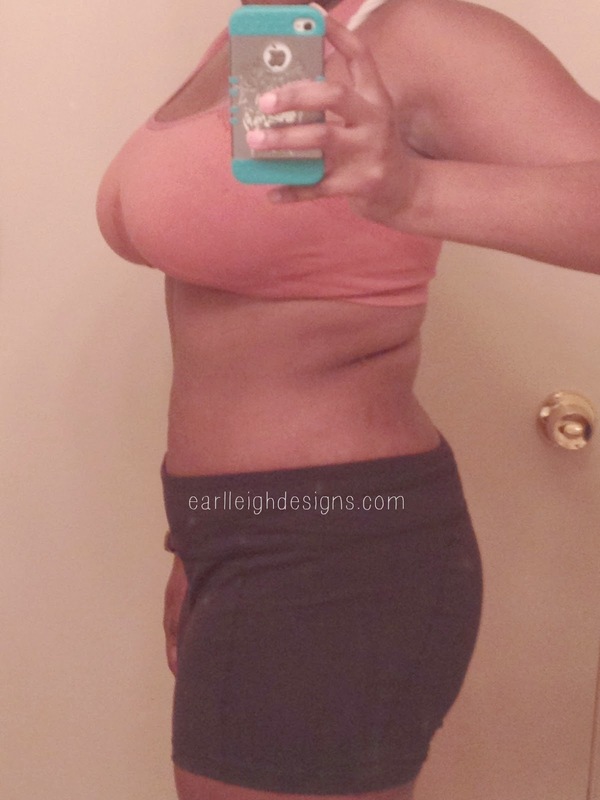 I think your tummy looks good for a mommy tummy! I can't wait to see the after photos! I love moscow mules. I also love a Oaxacan Mule. Tequila. Chyeah. Good luck with your challenge! I'm in the end stages of trying to peel off some pounds. I'm a tad older than you and believe me–it gets tougher as you get older! But I'm making progress-it takes work and commitment but it's worth it! Stay the course! Good luck with the challenge… ! You already look great -but, good for you for challenging yourself more! You're going to do great at the challenge. The ol' H20. That's some good stuff. LOL! I know! It's not even a fun body part to train IMO. Oh girl! When is our happy hour date? I love, love, love all things Blue Moon!